The new year always brings with it fresh ideas, motivations and resolutions. In our case, we were lucky to have some awesome new companies sign up with Cloudinary! Check out the exciting startups that have recently joined the Cloudinary family below. For past issues: Part 1, Part 2, Part 3, Part 4, Part 5, Part 6 & Part 7. What better way to sum up the year than with our latest 10 Startups compilation (part 7!)? As Cloudinary continues to grow, so does our customer base, with customers ranging in size and variation. In fact, out of our 2,500 paying customers, many are startups in various stages. We are always pleased to share the different use cases and verticals of these customers, and hope you find them interesting. Below is our latest collection - interested in reading back to previous roundups? Check out: Part 1, Part 2, Part 3, Part 4, Part 5 & Part 6. Often developers these days realize that they may be "re-implementing the wheel" building in-house technical solutions that are external to their core proposition. To solve this problem, they are looking for the best off-the-shelf SaaS solutions that will help them focus, get to market sooner, with better products, for lower overall costs. It’s been a few months and Cloudinary has been growing in leaps and bounds. Check out a few startups who use Cloudinary’s cloud-based image management platform to cut development costs and boost performance of image-heavy pages, in our latest round of "10 startup companies that manage their images in the cloud" (our previous posts: Part 1, Part 2 & Part 3). 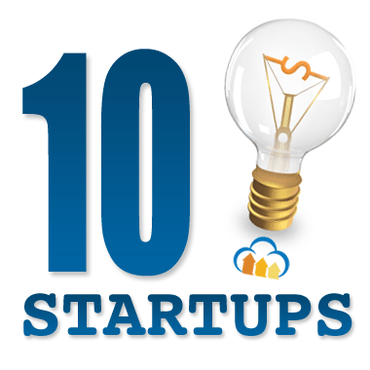 As tradition goes, we are happy to present Cloudinary's "10 Startup companies that manage their images in the cloud" - Part 3. (previous parts: Part 1, Part 2). As Cloudinary continues to grow, so do the features and capabilities we offer. This allows for usage methods that are even more creative and sophisticated than before. We wanted to showcase 10 great startup companies that each in its own wonderful, unique manner, use Cloudinary to manage their images. As Cloudinary continues to grow, the number of companies using Cloudinary to manage their images grows with us. Each company has its own unique product and utilizes Cloudinary in a different, fascinating way. In this post, we wanted to introduce you to several cool startup companies, and with them, the many different ways that Cloudinary’s services can be used. Since Cloudinary's launch, at the beginning of 2012, we have enjoyed watching many fascinating companies use our service in new and creative ways. Of these companies, many are early-stage startups. These startups are a pleasure to accompany and we enjoy watching them grow with us and with our ever growing list of capabilities and features, many of which were suggested by these companies themselves.